Custom welcome gifts for weddings, business (client and employee), workshop, conference, and holiday gifts in Atlanta, Georgia. Having good manners by showing gratitude is what we are all about! 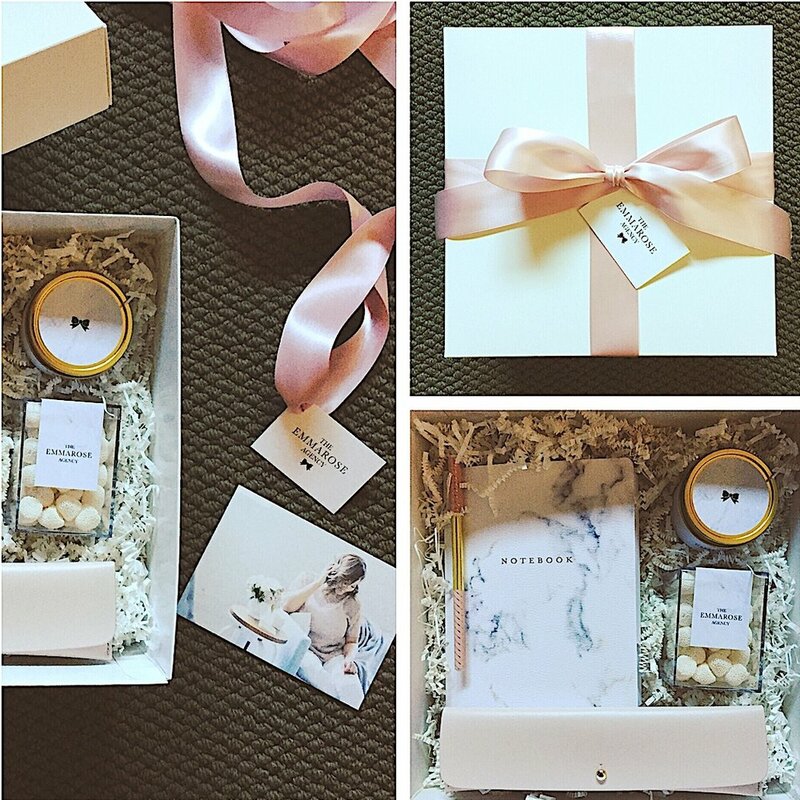 We love to design thoughtful gifts packaging while incorporating your wedding branding and personal touch. From welcoming your out-of-town guests to expressing gratitude to bridesmaids, groomsmen and family, we offer all your wedding welcome gift needs. We can curate gifting and custom packaging for small businesses to large corporations. Whether it's to welcome your clients or new hires or send holiday treats. We will also work with you create custom gifting workshops or conferences. If you're looking for that perfect gift for someone special, we can help. We will work with you in sourcing unique finds and creating a memorable experience for the recipient. Gift wrapping services are also available.